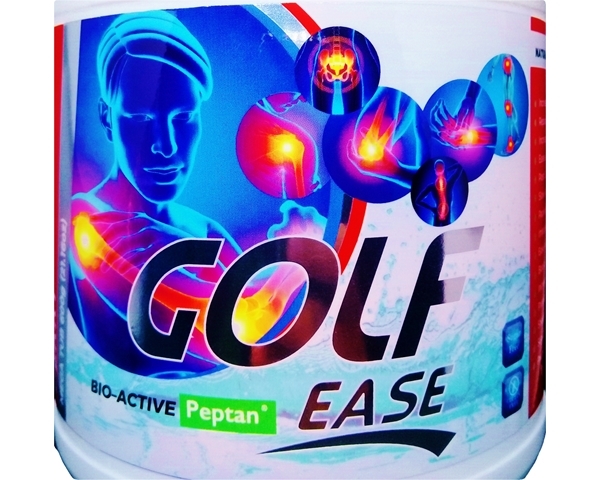 a solution that will ease the strain sport and Golf puts on the body. Mix with Water, Milk or your favourite Juice. Take 1 OR 2 servings daily. Take the 1st serving preferably in the morning before breakfast. Take the 2nd serving before bed. It is fibrous, structural proteins comprising of a right-handed bundle of three parallel, left-handed polyproline II-type helices. Much progress has been made in elucidating the structure of collagen triple helices and the physicochemical basis for their stability. 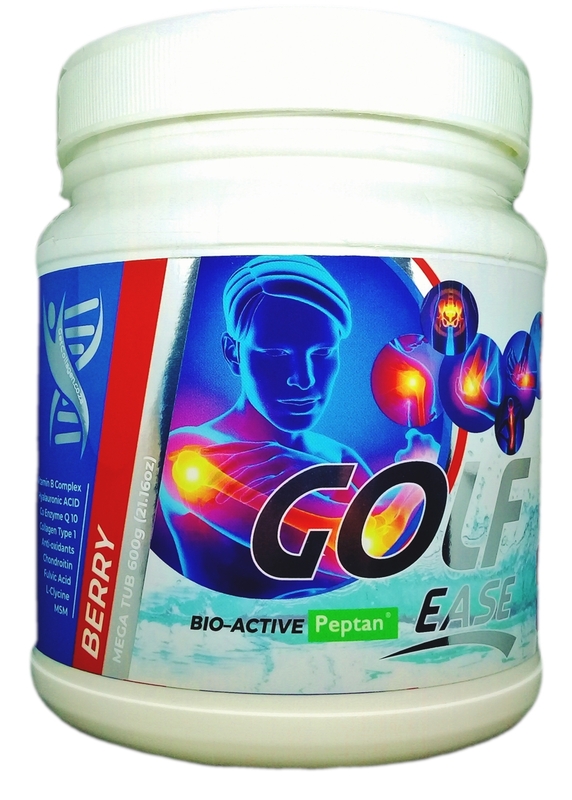 Golf Ease is a dietary Sports collagen supplement – containing a hydrolyzed form of collagen fortified with amino acids, antioxidants, vitamins and minerals, scientifically bio-engineered to work on different metabolic levels to promote the synthesis of collagen proteins in the human body. Also contains hyaluronic acid and chondroitin sulphate to contribute to skin and joint hydration and health and thus has anti-ageing properties. 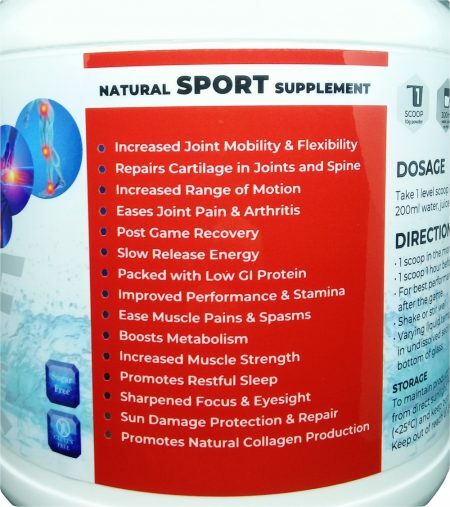 WHAT MAKES GOLF EASE SPORTS SUPPLEMENT DIFFERENT FROM OTHER PRODUCTS? 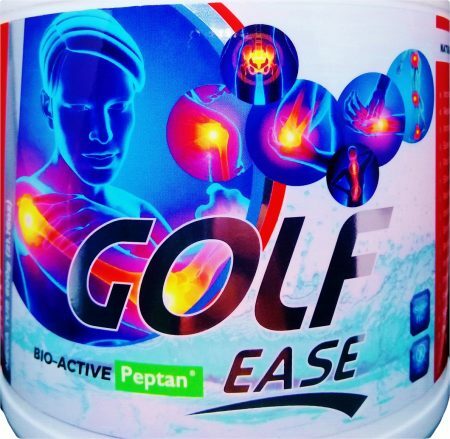 Golf Ease addresses all of the most important processes that contribute to the production, replacement, preservation and protection of newly formed collagen structures in the body. 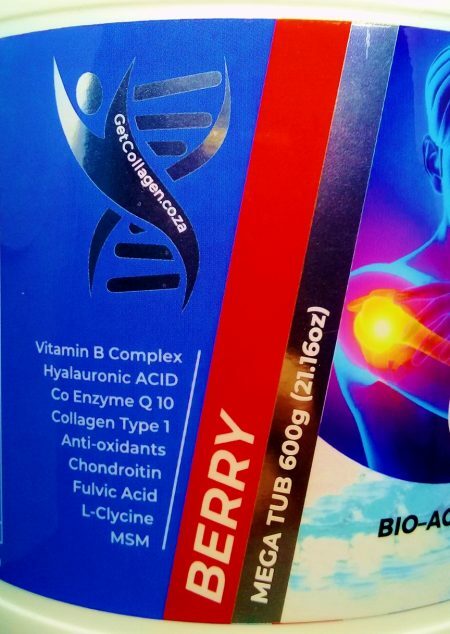 It does not simply comprise of a raw source collagen – but in fact contains a combination of high quality hydrolysed collagen with added nutrients that form part of a scientifically bio-engineered formula carefully put together by our biochemist to deliver a powerful and most effective product. 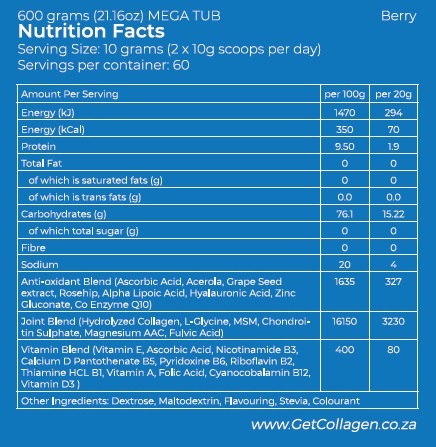 Hydrolysed Collagen (Type I) of high quality fortified with Amino Acids that are easily absorbed. 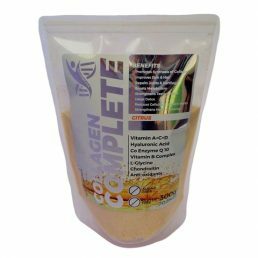 Vitamins and cofactors to promote the synthesis of new collagen post absorption. Considered the ultimate “nutrient booster,” we can benefit from fulvic acid when we take it as a supplement. How? As an active chemical compound, fulvic acid works in a way that helps us absorb and use other nutrients better — such as microbiota/probiotics, antioxidants, fatty acids and minerals. Because it’s able to improve how our cells take up things like antioxidants and electrolytes, fulvic acid has become popular for slowing down aging, improving digestive health and protecting brain function. Due to its unique chemical structure, it’s able to fight free radical damage that contributes to the process of aging and nearly every chronic disease there is. Occurs naturally in skin’s structure and connective tissue. Its function in the body is, amongst other things, to bind water and to lubricate movable parts of the body, such as joints and muscles. 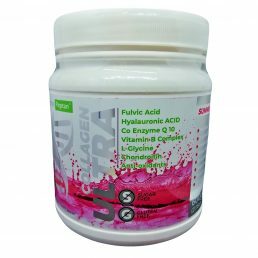 Hyaluronic acid works by acting as a cushion and lubricant in the joints and other tissues. Helps lubricate joints. If we compare the joints of the human body to an automobile engine, the joint fluid in the body mimics the oil in a car engine. At regular intervals we replace the oil in our car engines because the heat and friction breakdowns the oils viscosity. The oil becomes thinner and less able to protect the metal surfaces from excessive wear. Hyaluronic acid benefits our joints in the same way. As we age the viscosity of the joint fluid lessens. HA helps to maintain normal joint cushioning.. The National Institutes of Health Office of Dietary Supplements lists zinc as important for wound healing, for protein synthesis and to support immune function. It is especially important during pregnancy and childhood for growth and development. Zinc also promotes healthy skin and it may help reduce acne. 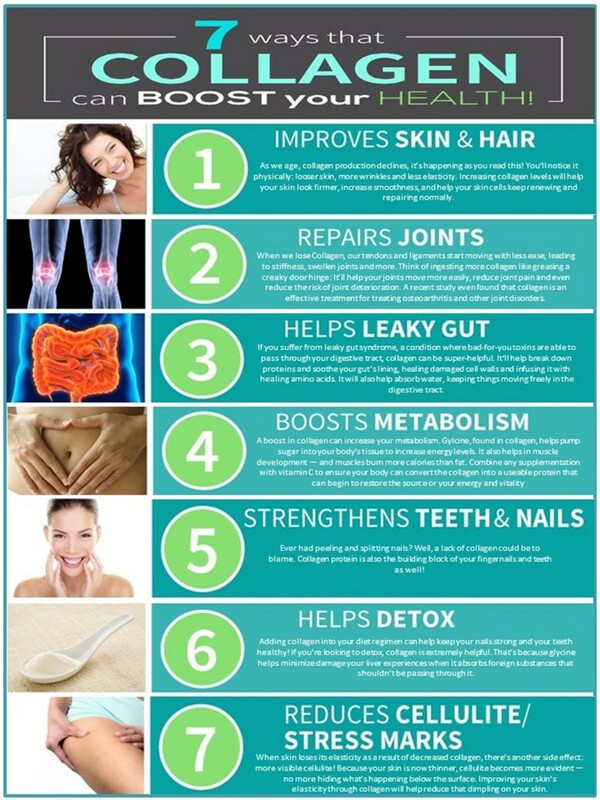 It helps heal and rejuvenate skin. It works as an antioxidant. It is nature’s master antioxidant. It plays a central in the electron transport chain and acts as a radical-scavenging antioxidant. Playing a crucial role in anti-ageing and energy production. Assists energy production at cellular level. Glycine can be used to help lower symptoms in people suffering from conditions like ulcers, arthritis, leaky gut syndrome, diabetes, kidney and heart failure, neurobehavioral disorders, chronic fatigue, sleep disorders, and even certain cancers. 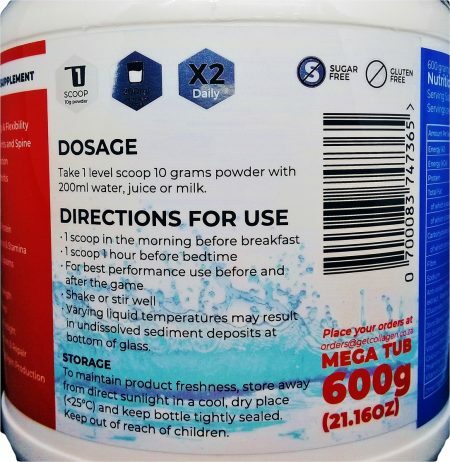 Chondroitin is a component of human connective tissues found in cartilage and bone. In supplements, chondroitin sulphate usually comes from animal cartilage. Another study found that chondroitin, taken orally, might help reduce symptoms of overactive bladder. At high levels, free radicals may cause cell damage. Some experts believe that cellular damage caused by free radicals may be a factor in some age-related health conditions. As a person gets older, the level of damage from free radicals in the body may increase, leading to cell damage and function problems. Through by-products of normal processes that take place in the body (such as the burning of sugars for energy and the release of digestive enzymes to break down food). Through pollutants, such as heavy metals and cigarette smoke. Molecules called antioxidants can interact and stabilize free radicals. Many dietary antioxidants are vitamins (such as beta-carotene and vitamins E and C) that occur naturally in fruits and vegetables. Many are also available as supplements. Antioxidants like Vitamin A are also responsible for building strong bones, regulating gene regulation, maintaining healthy clear skin, facilitating cell differentiation, and supporting immune function. Vitamin C helps to repair and regenerate tissues, protect against heart disease, aid in the absorption of iron, prevent scurvy, and decrease total and LDL (“bad”) cholesterol and triglycerides. Research indicates that vitamin C may help protect against a variety of cancers by combating free radicals, and helping neutralize the effects of nitrites (preservatives found in some packaged foods that may raise the risk of certain forms of cancer). Supplemental vitamin C may also lessen the duration and symptoms of a common cold, help delay or prevent cataracts, and support healthy immune function. Vitamin D, also known as the sunshine vitamin, can be produced in the body with mil sun exposure or consumed in food or supplements. DAILY USE WILL REVEAL YOUR YOUNGER AND MORE ENERGETIC SELF!